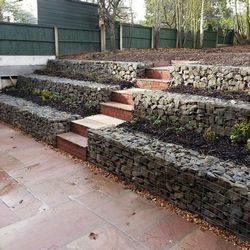 Retaining walls supporting moderate surcharges and battered slopes above the retaining wall. 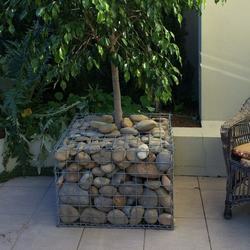 Garden walls, not retaining, support posts required for stability. 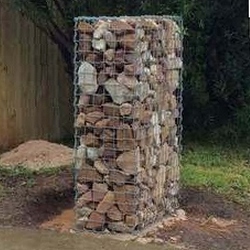 Garden wall, not retaining, support posts required for stability. 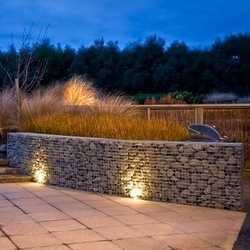 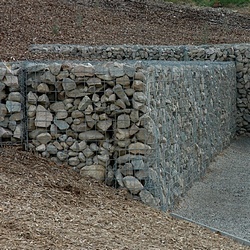 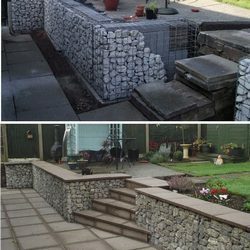 Garden walls and landscape gabions. 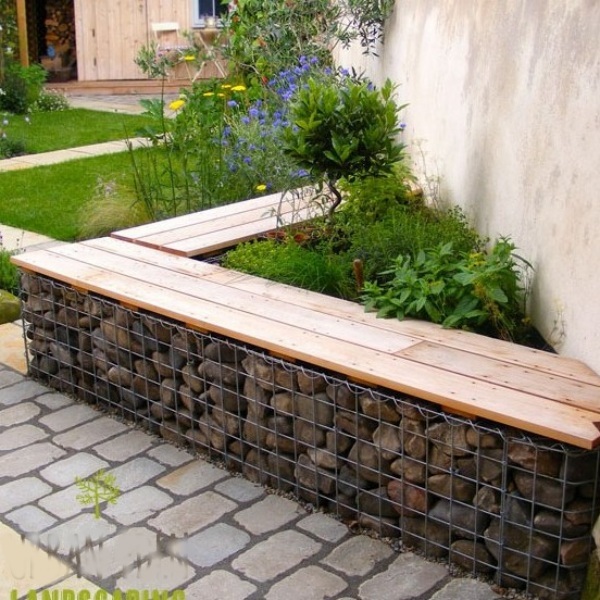 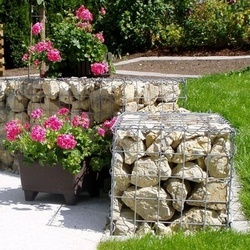 Gabion sizes suitable for planters. 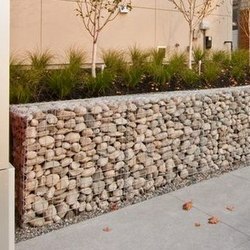 Galfan coated mesh and wire for sale. 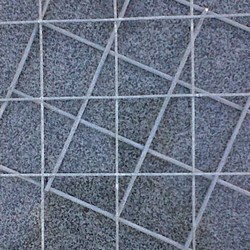 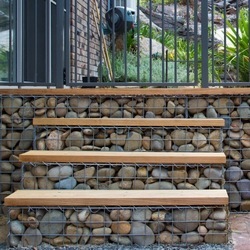 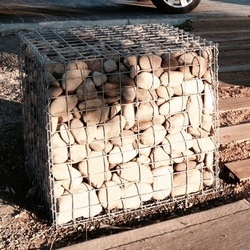 We will then work out the optimal gabion basket solution for you. 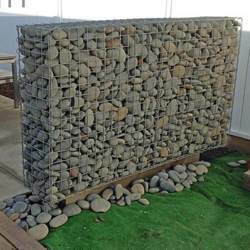 Gabion offers and product news.